Wakkis, for example, is an Indian restaurant where you can watch your food being prepared in an open kitchen. The kitchen has an open charcoal pit and it is housed in a hut-like niche made of wooden poles, straws, and bricks – allowing you to enjoy a one-of-a-kind experience! Bluebacana is a Middle Eastern restaurant that offers mains with a strong Lebanese influence. There is both an indoor and an outdoor seating area, with the outdoor seating spaces giving patrons the opportunity to sit next to the water’s edge. The Charcoal Grill and Restaurant is renowned for its chicken dishes and its grilled specialties. There are also a number of local delicacies such as grilled plantains on the menu. Are you interested in enjoying the nightlife when you visit Abuja? Our advice is to start off your evening by visiting a lounge or game center, such as the Sofa Leather Lounge or the popular bowling alley, Trukadero Place. At around 9 pm, make your way to The Soul Lounge, NightShift Coliseum, Hexagon, SS7 Lounge, or The New Afrika Shrine. Want to try your hand at a poker table? How about testing the waters at the slot machine? Abuja is home to many top-rated casinos that will give you the Vegas experience. Filled with plush carpets, beautiful décor, and tables where everyone is winning, be sure to check out the casinos in the city. Do you need to find accommodation in Abuja? 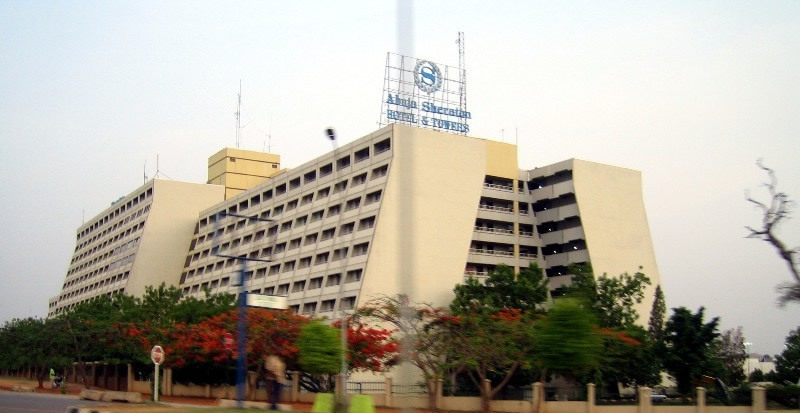 The Abuja Sheraton Hotel & Towers is located at Ladi Kwali Way, Maitama, Abuja, Nigeria. Book your spot at the best casino in Abuja now.